In Andrei Platonov’s unfinished play from 1938, two young orphans seek out their promised land. ARCHAPOV (Wipes his moustache) Bring me some more. TATYANA FILIPPOVNA Sure that wasn’t enough? ARCHAPOV Too watery. Make it thicker. TATYANA FILIPPOVNA All right, have all you want! You’ll feel it later, though. ARCHAPOV Go light the samovar. TATYANA FILIPPOVNA You’ll be sweating after all that tea, won’t you? You’ll sweat and sweat—and then you’ll catch cold . . .
ARCHAPOV And then I’ll get well again—don’t fret. ARCHAPOV Are you going to open the door? TATYANA FILIPPOVNA There’s no hurry. It could be a beggar woman . . .
ARCHAPOV A beggar—in this day and age? TATYANA FILIPPOVNA What are you doing here? DUSYA When my mother was dying, she told me to come to you. And now my father is dead too, and I’ve been living all alone . . . Dear Auntie, I don’t have anyone now! TATYANA FILIPPOVNA No one in our family lasts long. And I’m no different—I only look like I’m doing OK, but I’m not in good shape . . . No, not in good shape at all . . . .
Oh, come on, have a seat here in the kitchen. There’s some herring on that plate over there—go and get yourself some. God relieves us of our own children—and what then? Then our relatives fling their children at us. There she is, Arkasha—my niece! She’s a true orphan now: she’ll need to be fed—not to mention new clothes and shoes! ARCHAPOV (Sullenly) What more could we ask for! DUSYA I don’t need to be fed, I’ve eaten all I want. I just want to sleep. TATYANA FILIPPOVNA If you want to sleep, then lie down and sleep. There’s a trunk over there . . . When was your father’s funeral? DUSYA It’s been seven days. ARCHAPOV Bring me my food, I need to go to work soon. TATYANA FILIPPOVNA Why the hurry? (A little more quietly) Maybe she’ll fall asleep soon, just wait a little. ARCHAPOV I don’t care—she’s not my relative. I just want peace and order in my own home. Just look at her—how sweet and cosy! DUSYA (Not turning over) I’m not asleep. I was listening to you. I’m going now. I’m not staying with you. TATYANA FILIPPOVNA (With a sigh) All right, go. Seems you do, after all, have somewhere to go . . .
DUSYA Yes, I’m going to the Soviet Union of Republics. ARCHAPOV You should say it in full: the Union of Soviet Socialist Republics. DUSYA You don’t need it in full. TATYANA FILIPPOVNA Oh, she is sure of herself, she’s not one to be frightened! And she’s taken offense! . . . All right, go and live where you like—we’re not a roadside inn and we’re not a republic. MITYA Mama, why did you die? . . . Papa is out at work, Grandma Povanna lives far away in a little hut, she’s sick, she just lies there without ever dying—and I sit here on my own, weeping for you . . . Mama, please come back and live with us—it must be boring there with only dead people. We’ll be together again, and I’ll listen to you—and when I grow up, then you can die again, and we’ll bury you with music. Or better still, don’t die at all. . . . Come back now, Mama, even if it’s only for a minute, and then you can go away again. No, I understand—you’ll never be here with me. Your eyes are shut, you’ve gone blind, and you’ve forgotten everyone. I’m the only one who remembers you now, and I won’t ever forget you. (MITYA bows his head before his mother’s portrait and cries quietly. DUSYA appears a little way from the window. She stops a little way away, and then comes closer; she presses her face against the glass and taps timidly on the frame with one finger, but MITYA, absorbed in his grief, his head now resting on the table beneath his mother’s portrait, does not hear her. DUSYA looks around the room. She catches sight of the boy—seeing him through the single pane of glass, she taps more loudly. MITYA looks up, goes to the window, and looks at DUSYA with his back to the audience). DUSYA Give me something to drink, I just ate some herring. MITYA We only have plain water—you need to add some syrup. DUSYA Sure, I’ll have it with syrup. MITYA They sell it in a booth on the corner—go buy some and drink all you want. DUSYA I don’t have any money. MITYA You’re lying—nobody’s poor. We were poor too, but not anymore. We have milk now, and meat. DUSYA Just let me have a mug of water. Open the door for me. MITYA I stay locked in. My father locks me inside with his key. He’s away all day today—he’s gone to the brick factory—and I’m living all on my own, it’s boring . . . They won’t take me at the kindergarten, there’s no room, there are a lot of people being born, and there aren’t enough kindergartens. We had saboteurs and we had spies—half and half! DUSYA If the building catches fire—you’ll burn to death. You’re still little. MITYA I won’t. I’ll open the window and escape. My father’s taught me everything. DUSYA Open the window for me. MITYA I’m afraid—you’re a stranger. DUSYA (Stepping back from the window) Open up, I’m exhausted. I’m not going to kill you. MITYA Are you someone’s mama too? DUSYA (Slowly tracing her finger across the glass) No, I’m not really anything much, I’m not a mama. My own mama died. MITYA My mama died too . . . Only my mama wasn’t like yours. MITYA Yeah, mine was better. Yours was an old, old woman, soon you’re going to be old too. My mama just died—she wasn’t sick. It was poison—she died right away. She was in pain, but not a lot. Now she just lies there and she’s not in pain. Don’t take any of our stuff. DUSYA (In surprise) Of course not. Who’s taught you to say things like that? Do I look like a thief? MITYA My uncle’s taught me everything I know. DUSYA Your uncle’s a fool. But where’s your father? DUSYA And what did you say? DUSYA And what did he answer? MITYA He said, “No, we’re strangers now.” And I said, “Well then, go and get yourself suited to that fat woman. And take your Short Course with you.” Papa’s only read two pages this year, though he tells everyone he’s been studying it deeply. But I’ve already spelled out every word in it. DUSYA Did your mama live long after your father, after he left? MITYA No, not long. He left, then Mama fell and began to cry. She loved him all the same and felt suited to him . . . After that, Mama was always silent. She would talk quietly to me, but never to anyone else, and then she died. DUSYA How did she die? MITYA (Distantly) She’s my mama, not yours. I’m the only one who knows how she died, it’s not for you to ask questions. DUSYA But what did she die from? MITYA She took poison. She loved Papa and couldn’t forget him. She would shout and call for him in her sleep. DUSYA Your mama shouldn’t have died. She didn’t pity you, she left you to live all alone. DUSYA Your mother loved herself and her husband—your father—more than she loved you. MITYA Wrong order. Papa more than anyone, then me—and herself least of all. DUSYA Better if she’d loved you more than anyone, then she wouldn’t have wanted to die. MITYA Better if it had been you who died, not Mama. DUSYA (Standing up from the rug) Better . . . let me wash you, you look like a chimney sweep. MITYA Are you going to be our cook and nanny? MITYA Will you go out for a walk with me later? MITYA I’ll tell my uncle to hire you as a nanny. He’s been looking everywhere, with no luck. He says the cooks are all snakes—all studying to be pilots and scientists. The water’s cold. Why didn’t you heat some up on the Primus, you snake? I can see why they didn’t want you to be a pilot. DUSYA The water’s not that cold. You’ll be fine. It won’t hurt you . . . So when does your uncle come back? MITYA How would I know? This evening or maybe tomorrow. There’s food waiting in the kitchen—lunch and supper. You can have some. MITYA Don’t scratch my head with those nails of yours! Rinse the soap away, did you hear me? DUSYA I am rinsing it away. But who is your uncle? MITYA A fool, you said so yourself. He runs around with different women, he wants to bring me a new mother. But when he does, I’ll leave home for an orphanage. I’ll just take Mama’s portrait and go . . . Hey, that got in my eyes. (Hoarsely) Damn you, you klutz! DUSYA Just a moment. It’ll all be over soon. What’s your name? DUSYA There’s no such name as Avdotich. MITYA It comes from my mother. I don’t use my father’s name. DUSYA Your mama and I have the same name. MITYA My mama didn’t scratch me when she washed my hair. DUSYA I won’t scratch you again. All over now. MITYA Let’s have some food. Will you eat? Let’s have some kasha. Take a spoon. I’m not going to eat on my own. (Pointing his spoon at the window) My grandma lives in a little hut out there. It was Mama she loved most—and now it’s me. May she live on. MITYA No, she can’t die. Her time’s come, but she can’t. DUSYA Why not? Does death not come to her? MITYA No, death comes, but Grandma’s afraid to leave me in the world alone. How would I look after myself, she asks. So she doesn’t die. She’s waiting till I grow up and get old and come to live with her in her little hut. Then she’ll die. She wants me to shut her eyes. And I will. (Outside the windows it is now completely dark—a late blue twilight; crickets in the neighborhood have started chirping. (Pointing into the far distance) That’s where my grandma lives—far, far away. Too far away to see. That was Grandma lighting her lamp. She can’t come to me—her legs don’t go. I’m going to Grandma’s. We’ll have some compote right now, and then I’ll go. DUSYA You have it good, your grandma loves you. It’s because of you she won’t die. MITYA And it’s because of her that I won’t die . . . When Mama died, I wanted to lie down beside her. I wanted to lie there on the table and stop breathing, because she wasn’t breathing either. But then I felt sorry for Grandma—it would be boring for her without me. DUSYA (Thoughtfully) I wonder where my own grandma lives? MITYA My grandma can be half yours. UNCLE (Excited and merry) Mitya! Feeling bored in there? I’ll open up for you and let you out for a walk. I’ve brought you a new mama! UNCLE (Gesturing toward the smiling young woman) Here you are, Avdotich, your new mama. Better than the old one. She’s going to live with us now. So you’d better listen to her, or else! Understand? (He looks closely at DUSYA.) And who do we have here? . . . Wait, stop! Nobody move! (He looks at the YOUNG WOMAN, then back at DUSYA, comparing the two of them.) Stop! I see! (To the YOUNG WOMAN) There’s been a mistake. Go back, my love, off you go. YOUNG WOMAN: You trash! Don’t think I’ll ever marry you, not after this. I’m a citizen in my own right—I do light work and I get four hundred rubles a month for it! You know what you get for seduction of powerless women? (She grabs something fragile off a bookcase and throws it on the floor. It shatters.) I’ll teach you how to respect a woman! (She sits down in a chair.) I’m not going anywhere—and that’s that. You brought me here—and now you’ll be living with me for the rest of your life! I’ll be the one running things from now on, and that includes you! I’ll humble you once and for all! DUSYA But I’m . . . I’m already married. I’ve got an uncle and an aunt. You can’t marry me. No, you can’t marry anymore! UNCLE Oh, why were you in such a hurry? You should have waited! MITYA She’s my mama now! . . . (He squeezes DUSYA’s hand with both his own hands.) Let’s run away to my grandma. DUSYA Come on, Dmitry Avdotich, let’s go. MITYA The compote! Get the pot of compote—we didn’t finish it! UNCLE Mitya’s grandmother lives a long way away. (At this moment, the light in the little hut goes out; outside the windows, it is now pitch-dark.) They’ll never get there. From Fourteen Little Red Huts and Other Plays, edited by Robert Chandler. Forthcoming 2017 from Columbia University Press. Translation © 2017 by Jesse Irwin. By permission of Columbia University Press. All rights reserved. Propaganda and reality collide in this story from China. In Japan, an older sister tries to protect her brother, a genius. Also from Russia, this story depicts one version of what it's like to live with a grandmother. A freestanding stove, built from stone or bricks, and used for both cooking and heating. A heated metal container used for brewing tea in Russia. Members of a Soviet youth scouting organization. The play was written during the Soviet Great Terror, when routine problems (such as overcrowded kindergartens) were often blamed on nonexistent "saboteurs and spies." A textbook on the history of the Communist Party and the most widely distributed book in the Soviet Union under Stalin. Published in Words Without Borders' December 2016 Issue: The World on Stage: Micro-Plays in Translation. 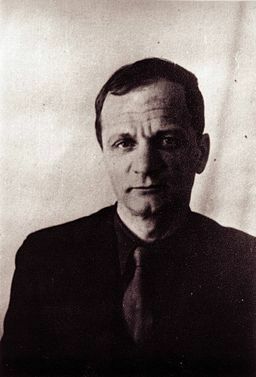 Andrei Platonov (1899–1951) was a Soviet writer of poetry, short stories, novels, plays, and journalism. The new state-sanctioned art of propaganda, Socialist Realism, erased for many years the memory of some of the greatest Russian writers of the twentieth century . . . [T]he great prose writer Andrei Platonov (included under the theme “Money and Possessions”), [was] banned and “rediscovered” only during the post-Stalin era known as the Thaw. Read more in Trubikhina's introduction to the collection of Russian literature on WWB Campus. Find out about alternate versions of the play's story, and what it was like to grow up in post-Soviet Russia, in this interview with translator Jesse Irwin. Learn what was happening in Platonov's life in 1938, the year he wrote this play, in this biography from the New York Review of Books. Although this play never mentions Soviet dictator Josef Stalin, his influence hangs over the lives of all the characters in the play, and of its author. For an quick overview of the Stalin era in the Soviet Union, read "Stalin -- purges and praises," from the BBC, or history teacher C.N. Trueman's overview of the era. For a sweeping look at Stalin's influence on Soviet lives and art, read philosopher Isaiah Berlin's 1945 report, "The Arts in Russia Under Stalin." The discussion of the Great Terror, which took place during the writing of this play, and during which Platonov's 15-year-old son was arrested, begins about a third down the page, under the heading Third Period. Berlin writes of this time, "Bending before authority exceeded all previously known bounds." Gelya Markizova and Josef Stalin. By an unknown photographer. Teachers taught students to say, "Thank you, Dear Stalin, for a Happy Childhood!" but what was it really like to be a child in dictator Josef Stalin's Soviet Union? The parents of the girl embracing Stalin in the 1936 propaganda photograph above were falsely accused and arrested as spies the following year; Gelya became an orphan at age ten. For an overview of both propaganda and reality for children in the Stalin era, read Victoria Bird's "'The Littlest Enemies: Children in the Stalin Era, or look through Boston University student Elise Alexander's multimedia guided history,"The Soviet Cult of Childhood." For more propaganda, view images, listen to songs, and watch films collected on the website Seventeen Moments in Soviet History. Whose Words Can We Trust? Listen to a radio episode featuring stories of "Kid logic", including one girl's decision that her friend's father was the Tooth Fairy. Then, read about the different kinds of unreliable narrators to find out which ones appear in this play. Finally, watch a TED-Ed video that explains dramatic irony, a key feature of the play. What might have been the "solemn music" playing in the distance at the start of Scene 2? State control over all media meant that most music was state propaganda. Below, you'll find "Ride of the Red Cavalry," which promises, "We shall shed our blood for the USSR!" In the play, Archapov suggests that are no more beggars "in this day and age," and Mitya tells Dusya, "You’re lying—nobody’s poor –." They're both echoing Soviet propaganda, which claimed that the country had done away with poverty. Stalin often proclaimed that "Life has become better, life has become merrier." Posters depicted healthy, smiling people, and plentiful food, promising, "Work hard during harvest time and you will be rewarded with bread." On every street, on every corner, they know about tasty Russian buns! When she is leaving the home of her stingy, resentful relatives, Dusya says she is going to the "Soviet Union of Republics," reflecting the propagandistic notion that, there, everyone has plenty. ("From each according to his ability, to each according to his needs," according to Marx's theory.) The irony is that she is already in the Soviet Union – and poverty and hunger are all around. Read historian Orlando Figes on the 1930s, which he calls "years of poverty" ---most people were making one tenth of what they had previously earned! Then, read professor Bryan Caplan on the reasons why people grew poorer even as the country developed. Finally, listen to radio story about the Great Famine, in which the state planned a mass starvation in Ukraine. Why does Mitya say all the cooks are "snakes—all studying to be pilots and scientists?" He's probably applying "kid logic" to something he overheard his uncle saying, which was itself a misinterpretation. Vladimir Ilich Lenin, Switzerland, 1916. This was often misquoted into a simpler comment: "Every cook has to learn how to govern the state." Mitya's uncle seems to have met some cooks with ambitions beyond cooking, perhaps informed by a misquotation from Lenin. The Pioneer, featuring a young boy in the signature red scarf. By Alexander Zelensky. If Mitya had been allowed to go to school, he would probably have joined the Pioneers, a near-mandatory youth scouting and Communism club, mentioned in the directions for Scene 2. Read about one British boy's summer in a Pioneer camp during a later Soviet era. Mitya blames "saboteurs and spies" for his over-full kindergarten, echoing Stalin-era propaganda, which blamed these mostly non-existent people for whatever went wrong, and used this language to justify mass arrests and killings of the innocent. For a summary, read the first paragraph of "A few bad apples," a blog post on the Oxford University Press website. For a deeper look into what was later known as "The Great Terror," including images, audio, and video, take a look at the archive on Seventeen Moments in Soviet History. Mitya's father accused his mother of being "bourgeois" –-a serious charge in the former Soviet Union. First, find out what happened to "bourgeois crocodiles" in children's literature of the era. Then, read a McSweeney's article about one of several Stalin-era campaigns in which accusations of being "bourgeois" were enough to send a person to jail. Nikolai Vavilov, pioneering geneticist and "bourgeois pseudoscientist." Why are Mitya and Dusya so eager to escape to "Grandmother's little hut?" First, read a brief history of Russian homes on expatica. Why does Dusya say, "There’s no such name as Avdotich"? Learn about Russian patronymics and read a comprehensive guide on Russian names from translator Lisa Hayden: How Russian Names Work (opens as PDF), or a quicker set of "useful notes" from TV Tropes. Jesse Irwin, Andrei Platonov, and…Marina Tsvetaeva? 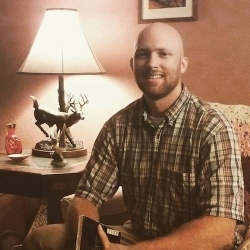 Finally, find out what Jesse Irwin has in common with poet Marina Tsvetaeva, also featured in the WWB Campus collection, in this bio. Monument to Platonov in Voronezh, Russia. From the L.A. Review of Books, "A More Interesting Grief." Finally, read about his wordless conversations with his closest friend, the Soviet Jewish writer Vasily Grossman. "Platonov wrote beneath the stainless steel yoke of socialist realism," comments critic Alex Wenger. First, find out what socialist realism, the only permitted literary genre in Stalin's Soviet Union, demanded from authors. Then, read one critic's theory about Platonov's social realism. Do you agree that this play fits into the genre? "Onwards, Comrades, to new victories!" Azerbaijan, Soviet Union, 1934. For more propaganda in Soviet posters, look through galleries from PBS and Mount Holyoke College. Listen to the song of the Soviet youth organization, Komsomol (the next step after Pioneers.) The lyrics claim that, "The guys have just one concern…to grow up as fast as possible" and begin to serve the state. Why were Mitya and Dusya so confident they would reach Grandmother's Little Hut? Perhaps they had read too many Stalin-era children's literature. Do-it-yourself books assured children they could build turbines and "save the striking committee," and books on the wonders of transportation promised, "The train is coming!" See them all in the University of Chicago exhibit Adventures in the Soviet Imaginary: Children's Books and Graphic Art. Speaking of the Soviet Imaginary, Soviet propaganda once claimed there was no racism in the USSR. Look through a gallery of posters in the Guardian article "Racial harmony in a Marxist utopia: how the Soviet Union capitalised on US discrimination." Then, find out whether the claims matched reality in "Black in the USSR," also in the Guardian. For decades after the era of this play, Soviet officials continued to claim there was no poverty in the country. Read articles published as Soviet archives were first being opened, "Soviet Openness Brings Poverty Out of the Shadows," from the 1989 New York Times, and "Poverty, Hunger And Other Evils Of Communism," from the Chicago Tribune. One would thus expect the Soviet Union to be a relatively equal society, and furthermore given the rights to all basic needs, one would expect little amounts of poverty. Alas, it wasn’t quite like that. For a deep dive into the many, many issues within the Soviet economy, read "The Soviet Union: poverty and inequality" from the Nintil blog. However, even during the Stalin era, some people managed to live in "Politburo luxury," and others are trying to recreate that lifestyle today, as the New York Times reports. Then, watch a video of a visit to a high-end Stalin-era apartment, or look at an exhibit of Stalin-era interior décor. Learn about another famous "little hut" – belonging to the famed witch Baba Yaga, and said to stand on chicken legs. Mitya's father used to brag about reading the Short Course, but only got through two pages. To find out why it might have been tough going, read an excerpt from this highly biased and dull book, which Stalin mandated for all university students. The introductory paragraph describes what happened to the book's authors. "None of Your Business": from Russia, a thematically similar tale, but with a twist: the young man in this story remains in his home, locking out his alcoholic, abusive parents. Pygmalion and The Glass Menagerie: two modern dramas featuring unlikely connections. "This is How Propaganda Works: A Look Inside a Soviet Childhood," an essay by Katya Soldak in Forbes magazine. Soldak writes: "I and most other children in the empire were tiny fish swimming through a sea of propaganda." "Interview with Wu Wenjian:" You might ask students, How has Wu Wenjian's perspective on protest changed since he was a young man? "Death Fugue," a chapter from a dystopian Chinese novel ---what really happens to the elderly? "Appendix," the story of two boys, their father, and the consequences of believing authority. "Amina": An Egyptian poem that asks, "my perfect friend/ why don't you leave now"
"Arm Wrestling in Chebachinsk": Also from Russia, this story depicts an entire community of unlikely connections between people of different nationalities, occupations, and cultures, united by their common experience of exile under Stalin. "The Wondrous Deer of the Eternal Hunt": A woman falls in love with a man who was imprisoned during the Stalin era. 1. Staging "Grandmother's Little Hut"